tpdnews: Recognize this subject who stole from wheelchair bound victim. Recognize this subject who stole from wheelchair bound victim. 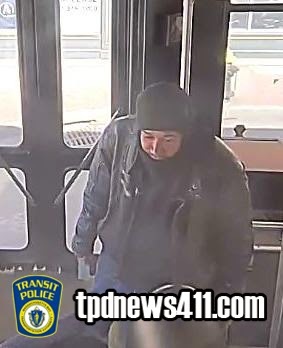 On Monday, March 23, 2015, at approximately 3:00 PM, the subject depicted within committed a larceny from a patron in an wheelchair onboard a MBTA Rte. #1 bus. The subject fled as the bus stopped at the intersection of Massachusetts Avenue and Sydney Street in Cambridge, MA.